I’ve been using Siri and Text Recognition Programs such as Dragon Dictation. Great Programs. Today, i dictated the telephone number and text message with my phone. 100 other programs exist as stand alone applications. 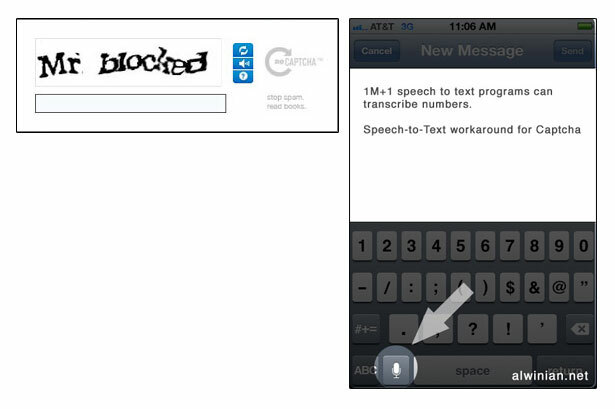 Does this technology make captcha irrelevant now (at least with the listen features). a. hook up voice recognition to any audio stream. b. take output of voice recognition and port as a variable into automation software.